Part of FCC Beaumont facilities including: USP Beaumont with a minimum security satellite prison camp, FCI Beaumont Medium and FCI Beaumont Low. 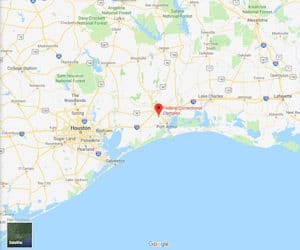 Location: FCI Beaumont Low is located on the Texas Gulf coast, about 90 minutes from Houston. Background: FCI Beaumont Low was opened in 1996. It is part of the Beaumont Federal Correctional Complex (FCC). Housing: Inmates are housed in dormitories. Health Services: FCI Beaumont Low offers the same health services as all FCC Beaumont institutions, including sick call, eyeglasses, emergency medical treatment, physical examinations, medications, immunizations and dental care. Over-the-counter medications are available at the commissary. While emergency medical care is available 24 hours a day, inmates must submit a triage form for routine health care needs. Psychology Services: Intake screening is provided to inmates upon arrival. The psychology staff offer a variety of comprehensive treatment programs addressing a full range of clinical disorders, providing self-help options, assessing and treating behavioral or emotional problems, and facilitating overall adjustment. Anger management, Smart Recovery, and other programs are available. Residential Drug Abuse Program (RDAP): FCI Beaumont Low houses a Residential Drug Abuse Program (RDAP). It also provides a Drug Abuse Education Course, the Non-Residential Drug Abuse Program (NR-DAP), Alcoholics Anonymous (AA), and Narcotics Anonymous (NA). Education Services: FCI Beaumont Low provides literacy, GED, and English-as-a-Second Language (ESL) programs. Additional programs include parenting and Adult Continuing Education (ACE) courses. High school diplomas and post-secondary programs are available through paid correspondence programs. Advanced Occupational Education: FCI Beaumont Low offers advanced occupational education in Advanced Microcomputer Applications, Basic Diesel, Building Trades, Culinary Arts, HVAC, Industrial Sewing, Major Appliance, and Microcomputer Applications. Vocational Training: FCI Beaumont Low does not offer vocational training aside from its advanced occupational education and apprenticeship programs. Apprenticeship: FCI Beaumont Low offers apprenticeships in Carpentry, Electrician, HVAC, Painting, Plumbing, and Teacher Aide. Library Services: A law library is located in the Education Department, containing a variety of legal reference materials for use in preparing legal papers. A copier is available in the library to assist with making legal copies. Inmates also have access to the TRULINCS Electronic Law Library and to electronic typewriters. In the leisure library inmates can check out fiction and nonfiction books, newspapers, and magazines. UNICOR: The UNICOR at FCI Beaumont Low produces clothing and textiles. Commissary: Inmates at FCI Beaumont Low are allowed to spend $360.00 monthly in the commissary on their assigned shopping days. Clothing, shoes, electronics, food, drink mixes, and other items are available for purchase. Spending limits on certain items may apply. It is commonplace for inmates to carry their purchases back to their housing units in laundry bags. Recreation Services: The FCI Beaumont Low Recreation Department consists of both indoor and outdoor components, such as origami, painting, drawing, and leathercraft. These activities range from individualized arts and crafts programs to intramural team sports such as softball, basketball, frisbee, soccer and volleyball.